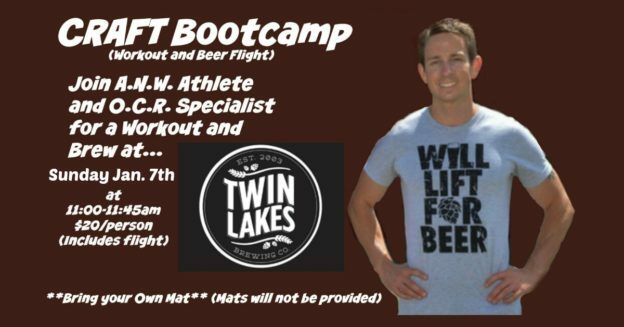 On Sunday, January 9th, come down to the Tasting Room early to participate in a Craft Beer Bootcamp instructed by Bryant Edwards! For $20/ person, you get to take place in Mr. Edward’s yoga class from 11-11:45am, and get your first flight of beer for free during the tasting room event afterwards. It’s something new and fun that we’re really looking forward to hosting, we hope to see you there! This entry was posted in Tasting Room Event on January 7, 2018 by Edward Poore.